Our wine this week is a Cabernet Sauvignon from Tussock Jumper Wines. There’s a King Penguin (Aptenodytes patagonicus) on the label, a very first appearance for the Spheniscidae family here at Birds and Booze. This is somewhat surprising, given the perennial popularity of these birds in culture and advertising. But unlike corporate macrobreweries, wineries don’t seem all that interested in associating their products with ice-cold serving temperatures. 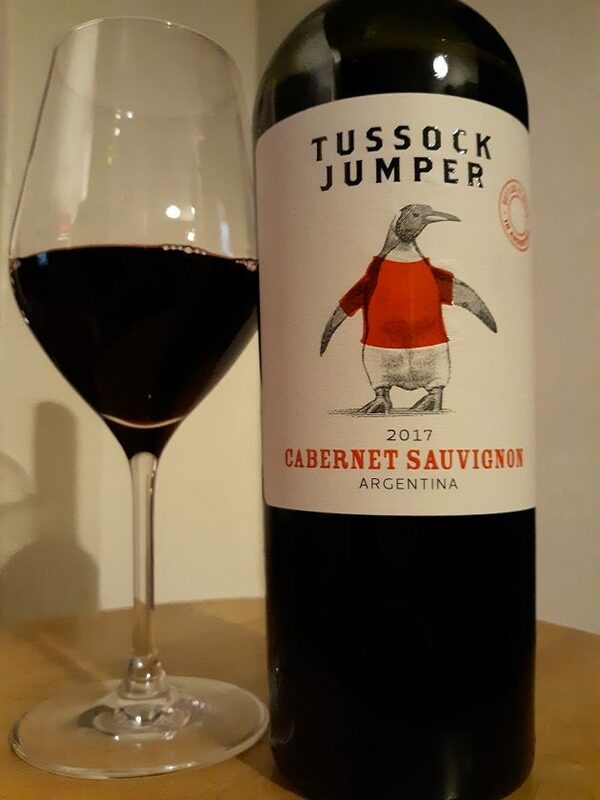 Which is probably why we find our Tussock Jumper King Penguin properly bundled up in the eponymous red jumper (or sweater, in North American English) of this wine company, which sources and packages a selection of affordable wines from a variety of origins around the world. 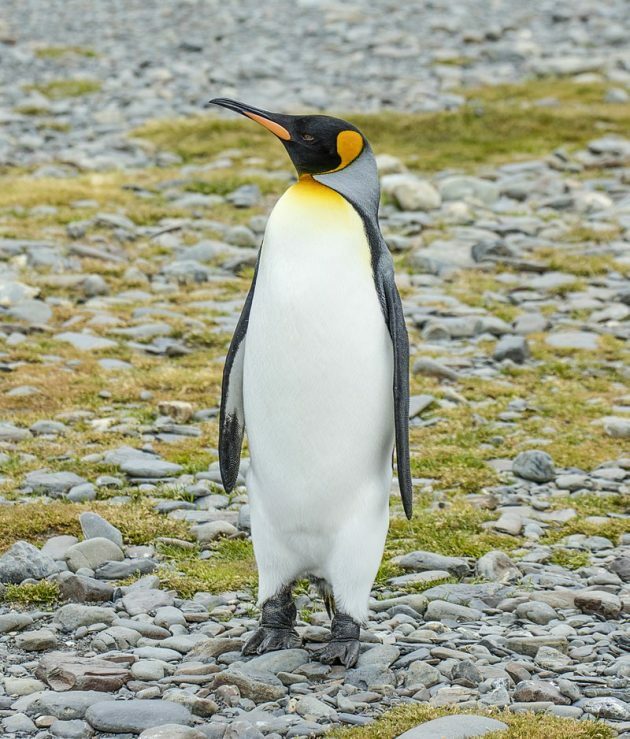 The emperor – er, King – has no clothes: this penguin seems to have misplaced its jumper. Of course, it’s now summer in the Southern Hemisphere, where King Penguins are found. But even if you have any reservations about enjoying this wine in the dead of the boreal winter, just remember that most people seem to think of penguins as Arctic birds. Except birders. We know better. King Penguins breed in Antarctica, the Falklands and a few other South Atlantic islands, and in Argentina and Chile, along that odd border between the two countries in Tierra del Fuego. This Cabernet Sauvignon hails from Argentina as well, though it’s from the Tulum Valley wine region near San Juan, over a thousand miles north of the King Penguin breeding grounds at the southern end of the continent. 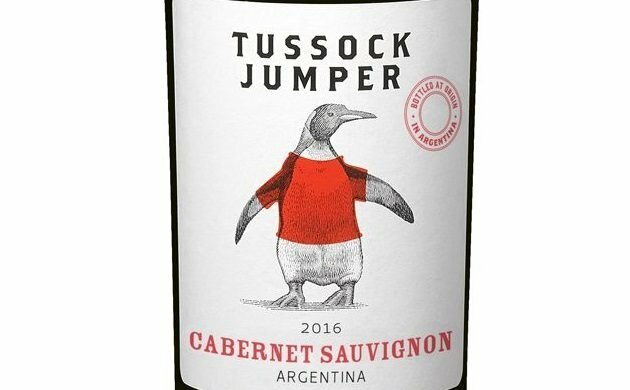 Tussock Jumper’s Cabernet Sauvignon offers an unmistakable aroma of blackcurrant, with gusts of menthol, cedar, and pepper over the top. There are anise and molasses notes in the spicy and fruity palate, with savory touches redolent of black olives, countered by a strongly tannic and oaky finish.